Each year, the Accessibility Conference offers pre-conference workshops. Detailed workshop sessions and presenter bios are outlined below. Time: Two sessions: 9 a.m. to noon or 1 to 4 p.m. Only 25 spots available for each session. Description: The Accessibility Conference is pleased to co-host* its first make-a-thon workshops! Two three-hour accessibility-focused workshops will take place on Monday, May 27, 2019. Conference attendees and campus members are welcome to attend - no experience required! Session Level: This is an introductory workshop. Materials: Bring your laptop, preferably with Windows 10; however, we will do our best to accommodate MacBooks. A limited number of complementary JAWS user licences (valid for 90 days) will be available to workshop participants. When you register, please indicate if you would like to receive a complementary JAWS licence. Description: Learn to test a web page for accessibility by using standard industry tools, such as a keyboard, JAWS screen reader, Colour Contrast Analyser, Chrome DevTools (and the Lighthouse audit tool), and Windows Magnifier. Perform a set of basic tests chosen to complement each other to find accessibility issues which would impact users with a variety of disabilities. Emphasis will be placed on standard, practical tests, and evaluating the results for pass/fail. This includes an accelerated introduction to JAWS, which will focus on a small subset of commands which are most useful for testing web pages. John McNabb works in web accessibility at The Paciello Group and is on the organization team at #a11yTO. He likes to share straightforward testing methods which take into account a variety of disabilities. He's a lifelong learner and a fan of plain language. Session Level: This is an introductory workshop. You should have a basic knowledge of Word and PowerPoint. You don't need prior knowledge of document accessibility principles or processes. You will be enrolled in the WebAim’s online independent-study course and can review and revisit all of the workshop content through the course's video-based instruction. Materials: Bring your own device with Word (2016 or newer), PowerPoint (2016 or newer), and Adobe Acrobat Professional. Description: This full-day workshop will review the fundamentals of creating accessible documents in two ubiquitous applications: Microsoft Word and PowerPoint. You will review how to use Adobe Acrobat Professional to optimize the accessibility of well-structured PDF exports from these applications. You will be enrolled in an online independent-study video-based course that will cover the workshop materials in greater detail. Participants who demonstrate mastery of the content through the successful completion of the online course's assessments will earn a WebAim Certificate of Completion. George Joeckel has been at Utah State University since 2008 and at WebAIM since 2015. He completed the masters program in instructional psychology & technology at Brigham Young University in 2007. His current emphases are enterprise-level website evaluations and creating accessible web documents. He facilitates WebAIM's online course—Accessible Documents: Word, PowerPoint, & Acrobat. Materials: Bring your own laptops with Adobe Acrobat Pro DC installed. If you have another version of Acrobat, you can still participate but the tools might be in different places. Description: This is a full-day hands-on workshop on how to take an accessible form template from Microsoft Word and create an accessible tagged PDF form. The workshop will start with an overview of best practices for form design and then move to Adobe Acrobat Pro, where the form controls will be added. The types of form controls covered will be: text, radio buttons, check boxes, dropdown lists, combo lists and “lists.” The topic of digital signatures will be covered through a discussion of their barriers and solutions. Karen McCall, M.Ed., owner of Karlen Communications, has written several books on creating and working with accessible documents as well as books on how to use Microsoft applications from the Keyboard. 'Accessible and Usable PDF Documents: Techniques for Document Authors' is currently in its fourth edition. Karen has been working in the field of accessible document design since 1998 and is a Microsoft MVP for Word and a Microsoft Accessibility MVP. Visit Karen's website for free tutorials on accessible document design. Registration fees include refreshments and lunch. Parking is extra. 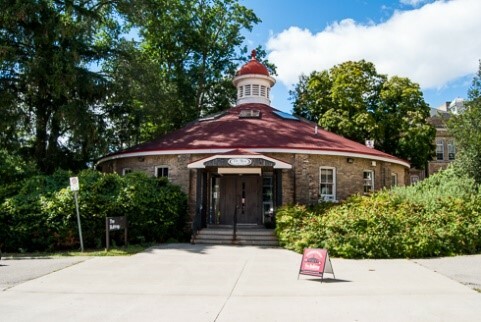 Most sessions are 45 minutes in length and take place in Rozanski Hall (ROZH) at the University of Guelph. Lunch is scheduled from noon to 1:30 p.m. in Peter Clark Hall at the University Centre. Detailed conference sessions and presenter bios are outlined below. Description: Exploring the future of work, the promises and threats of artificial intelligence, emerging legislative frameworks, and the transformation of education, this keynote will position accessibility and chart a course for greater inclusion. Jutta Treviranus is the director of the Inclusive Design Research Centre (IDRC) and professor at OCAD University in Toronto. She established the IDRC in 1993 as the nexus of a growing global community that proactively works to ensure that our digitally transformed and globally connected society is designed inclusively. Jutta and her team have pioneered network-supported personalization as an approach to digital accessibility. She also heads the Inclusive Design Institute, a multi-university regional centre of expertise. Jutta founded an innovative graduate program in inclusive design at OCAD University. Her work has been attributed as the impetus for corporate adoption of more inclusive practices in large enterprise companies such as Microsoft. Describing Images in Higher Education Content - Science or Art? Description: Digital and built environment accessibility are often talked about as two separate things, with two different groups of users. We know, however, that the people who get excluded by barriers to access in the physical world are often those who get alienated online. In this session, Jenny and Billy will draw on years of auditing both the built and digital worlds to examine the similarities between web and built accessibility. Sharing anecdotes and how-tos from each side, and by exploring the core concepts and principles in the other's work, they'll demonstrate that building accessibly means designing for the whole user. This talk will encourage you to reflect on what you know about accessibility and inclusive design and consider how that knowledge can be used as a foundation in growing outside of your expertise. Core principles will be explored on the digital and physical sides of accessibility to remind you that nobody's life is so neatly divided, and that to build accessibly we must build for the whole person. Before joining TPG, and after failing to realize his rock star dream, Billy Gregory was a front-end developer discovering his true love of the internet: ensuring everyone can use it. Now the director of training at TPG, Billy knows the challenges and apprehension faced by people new to accessibility. He teaches designers, developers, and other professionals to build a better web, often by pointing to barriers found in the built environment. Outside of work, Billy is one half of the popular duo "Viking and The Lumberjack" and co-organizer of the #a11yTO Conference and meetup group. He still isn't a rock star. Formerly a technician for high-technology wheelchairs, Jenny Hiseler began her accessibility career as a built environment auditor. She has assessed over 200 buildings and spaces and taken on project management and community engagement roles. In house at Quadrangle, she provides AODA training and consults on architecture and design projects. Outside of work, Jennifer volunteers with several organizations, working for the legal rights of people with disabilities and their inclusion in city building and digital spaces. Jenny is also a co-org of the #a11yTO group and is iffy about the title "Accessibility Specialist" because there's always something new and cool to learn. Description: I will present the findings from my recent systematic review of programs and interventions for increasing the interest and participation of children and youth with disabilities in STEM disciplines. You will learn about and discuss issues related to the inclusion of individuals with disabilities in STEM education and careers, and the effectiveness of existing interventions aimed at improving participation in STEM disciplines. I will highlight gaps in the literature where more research is required, and you will leave with an understanding of the next steps required to improve the participation of youth with disabilities in STEM fields. Kendall Kolne is a postdoctoral fellow at Holland Bloorview Kids Rehabilitation Hospital. She completed her doctoral work in the School of Communication Science and Disorders at McGill University, which she will defend in spring 2019. Her research focus is two-fold—firstly investigating the cognitive underpinnings of literacy development, and secondly, increasing the inclusion and participation of girls with disabilities in STEM disciplines. Description: CNIB undertook a project to understand the levels of employment for people with sight loss. Our research partners included Vision Australia, and the Royal New Zealand Foundation for the Blind. Previous statistical studies done by governments and national blindness organizations on levels of employment for working age people who are blind or visually impaired are now over ten years old; therefore, CNIB undertook a quantitative research study to understand the barriers and success factors for current levels of employment for people who are blind or visually impaired. Results of the study will presented through PowerPoint. The results of the study suggest programs and services geared towards increased community engagement in paid work, team sports and extracurricular activities at school along with mentorship programs will help increase the employability of working age individuals who are blind or partially sighted. Dr. Mahadeo Sukhai is the head of research and chief accessibility officer for the CNIB. Dr. Sukhai is Canada's only congenitally blind biomedical research scientist. Dr. Sukhai's research program focuses on indicators of social inclusion "particularly education, employment and technology use" for Canadians who are blind or partially sighted, as well as measurement of healthcare outcomes for the blind or partially sighted population. Dr. Sukhai is passionate about accessibility, inclusion and universal design in education "particularly science education" and in the workplace. Description: This is a demonstration of the process of conducting accessibility remediation on an inaccessible web site. I will start with a sample inaccessible web page and demonstrate the use of various accessibility checking tools. I will fix each accessibility problem in turn and explain what I am doing to achieve WCAG compliance. Questions are welcome during the session. 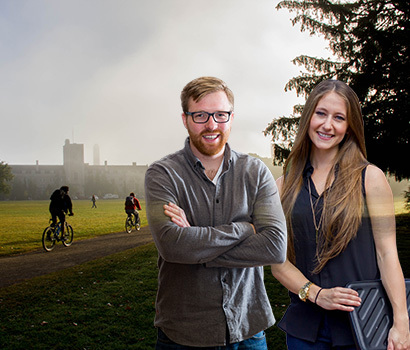 Liam Morland is a web developer and web accessibility lead at the University of Waterloo. As a member of the central web team, he works on the Drupal project and contributes to accessibility across campus. Liam has made accessible web pages ever since he made his first website in 1994. Outside of work, Liam is a youth leader and adult trainer in the scouting movement. Participation: This is an "un-workshop" and you will drive the session's focus. Bring your ideas, resources, questions, and your own device. Description: In this "un-workshop" about Universal Design for Learning (UDL), we'll take an unconference approach. As facilitators, we will guide you to create the agenda for the workshop and share your expertise and experience in UDL in higher education. We hope that you come away with an increased network of UDL practitioners in higher education, ways to think about the intersections between UDL and accessibility, and a variety of resources that could help you in your work. Note: This is a double session scheduled from 2:30 to 4:15 p.m.
Jodie Black is an educator dedicated to improving the college learning experience for all students. With 11 years' experience working in higher education, she has led Universal Design for Learning (UDL) initiatives at two colleges and loves helping others integrate UDL into their design of systems, curriculum, services, faculty development, and policy. She co-leads the UDL Higher Education Special Interest Group for the UDL IRN and enjoys collaborating within and across institutions. For 12 years, Darla Benton Kearney supported students with disabilities in the Accessible Learning Services department at Mohawk College; however, in 2016, Darla became the Universal Design for Learning (UDL) Curriculum Consultant in the Centre for Teaching and Learning, tasked with facilitating the advancement of UDL at Mohawk College. In this role, Darla works collaboratively with academic programs, as well as Accessible Learning Services, to implement UDL college-wide. She'd love to spend time collaborating with you, too. Description: Whether you are new to accessibility or already familiar with Web Content Accessibility Guidelines (WCAG) 2.0, this is an easy-to-understand introduction to what's new in WCAG 2.1. I find the detailed language of the W3C recommendation hard to understand. In this session I will describe each new success criteria in simple terms and provide examples and demos to help you understand the 17 new criteria, primarily focusing on the 5 Level A criteria and 7 level AA criteria. After the session, you will understand the challenges a user with a disability may experience when navigating websites and mobile applications that are not designed with accessibility in mind. In addition, you will learn by implementing these new success criteria and which groups of users will benefit from these new criteria. The WCAG 2.1 formally became a W3C recommendation on June 5, 2018. Toan Tran is an enterprise digital accessibility consultant at RBC with over 15 years of experience working in digital accessibility. As a subject matter expert in digital accessibility, Toan provides consultation on developing accessible applications to various project teams, including providing expertise on how to conduct accessibility testing on a variety of platforms such as web, desktop, responsive web and mobile. Toan is currently part of the Enterprise Digital Accessibility team at RBC. Description: This session will describe how post-secondary institutions could co-design the education process in collaboration with learners with disabilities to make learning more accessible for everyone. Drawing from the Accessibility Practices Framework developed and practiced by D2L Corporation in its mission to be an inclusive educational technology company, a framework of practices will be suggested for post-secondary institutions to adopt and adapt. Sufficient time will be allocated during the session for audience feedback and dialogue. The objective of this session is to emphasize the need for educational institutions to co-design the educational process along with learners with disabilities to make learning accessible. Applying the Accessibility Practices Framework of an inclusive educational technology company to the context of post-secondary institutions, this session will show how those practices can be adopted, adapted and practiced for making learning more accessible. Sam Chandrashekar is passionate about making education accessible to diverse learners through accessible technology and inclusive design. She works as accessibility program manager with D2L Corporation. She also holds a position as adjunct professor with OCAD University's Master of Design program in Inclusive Design. She has taught four cohorts and supervised over 50 inclusive design student research projects. Sam is a member of the Ontario government's Post-Secondary Education Standards Development Committee under AODA, and a member of the Curriculum Development and Recommendation Committee of the International Association of Accessibility Professionals (IAAP). Sam worked on improving web access for users with vision loss during her doctoral and post-doctoral studies with the University of Toronto. She has a PhD from the University of Toronto and an M.Sc. in human-computer interaction from University College London, UK. Description: This presentation will share results from a recent systematic review examining the literature on disclosure and accommodations for people with autism spectrum disorder (ASD). You will have the opportunity to actively engage in a discussion about the 26 studies included in the review. We will highlight our findings showing the variability in rates of disclosure and receiving workplace accommodations; benefits and limitations of disclosing in the workplace; and important factors affecting decisions to disclose. You will receive valuable information and resources to guide the disability disclosure process and gain a better understanding of the types of workplace accommodations available to persons with ASD. Sally Lindsay is a senior scientist in the Bloorview Research Institute at Holland Bloorview Kids Rehabilitation Hospital and associate professor in the Department of Occupational Science & Occupational Therapy, University of Toronto. Her research focuses on the social inclusion of youth and young adults with disabilities. Victoria Osten is a research coordinator in the TRAIL lab, Bloorview Research Institute, Holland Bloorview Kids Rehabilitation Hospital, Toronto. Description: This session will show you how to create accessible social media content on Facebook, Twitter, Instagram and LinkedIn using the root platforms as someone who is sighted or a JAWS or VoiceOver user. You will receive a brief history on the social media landscape, a case study of CNIB and its content creation (from inaccessible to accessible), with a hands-on demonstration on posting to Twitter from the event and making it accessible. You will also receive a handout with step-by-step directions on how to create accessible content for these platforms. Matisse Hamel-Nelis an award-winning communications professional with a passion for accessibility. Currently enrolled in Mohawk College's Accessible Media Production program, Matisse has focused her efforts accessible digital content creation, specifically around social media. Description: The current legislated Customer Service (CS) Accessibility training is limited in scope and efficacy. This presentation showcases the impact of Critical Disability Studies (CDS) and creative accessibility education in the City of London as part of improved accessibility training in corporate orientation. It connects educators with a toolkit for effective creative problem-solving and goes beyond the AODA CS standard to prepare and engage employees and students with concepts familiar to CDS. By re-imagining what is possible, not simply what is required by law, students of the accessibility training are equipped with the kinds of problem-solving strategies that will effectively transform the way they carry out their day-to-day tasks. In this presentation, I will provide the interactive activities and discussion, as well as the information and resource tools to implement improved corporate accessibility education that will move us all past compliance obsession. Melanie Stone is a longtime accessibility advocate currently working at the City of London as the City's accessibility specialist. She is currently completing her doctoral work at Western University where she is working with mothers with disabilities to examine the intersection of motherhood, disability and work engagement. She has acted as the accessibility commissioner for the Society of Graduate Students at Western, and the co-chair of the society's equity committee. She is currently the vice president of Women's Sledge Hockey of Canada, a non-profit organization dedicated to the advancement of sporting opportunities for women and girls with disabilities. Description: While self-care is increasingly being viewed as an avenue toward student wellness, post-secondary students with mental health struggles face numerous structural barriers within the university that prevent them from caring for themselves. You are invited to listen to a presentation that will explore student self-administered care based on fieldwork that took place at the University of Guelph. The objective of this presentation is to inform students, stakeholders, and those galvanized to improve campus mental health care, about the undertheorized area of self-care while equipping them with tools for making our campuses more inclusive and wellness oriented spaces. Loa Gordon is a student of anthropology with an interdisciplinary focus on critical disability studies. She received a bachelor’s degree with a double major in anthropology and psychology from McGill University and a master’s degree in public issues anthropology from the University of Guelph. Loa is interested in mental health inequality, caregiving practices in clinical and alternative milieus, and the subjective experiences of students with mental health struggles. She has conducted fieldwork that examines the function of self-administered forms of care as expressions of agency among Canadian post-secondary students. Description: In this session, we'll cover current and new accessible media tools, trends, standards, and legislation pertaining to video and audio accessibility. Relevant to both public and private organizations in Ontario, we'll review the upcoming AODA Info & Comm Standards Development Committee recommendations, and how these could impact captioning and audio description requirements in the province. We will also share our progress on a full re-imagining and re-coding of CapScribe, the captioning and descriptive video editor that for many years was made freely available to non-profit organizations and individuals in order to encourage these practices in-house. Our goal is to bring CapScribe up to date as a fast, inclusive media editor for all. Rob Harvie brings a rich background in ICT and accessibility solutions. While working at the University of Toronto over a few decades, he spent a large chunk of his time in research work with the Adaptive Technology Resource Centre on various federally-funded media accessibility research initiatives. 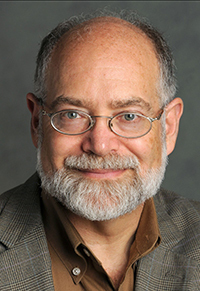 He directed Information Technology Services for the Faculty of Information, and taught human-computer interaction and emerging technologies—including augmented reality and multi-sensory interfaces at the Institute for Communications, Culture and IT, the McLuhan Program in Culture and Technology, and Continuing Studies. 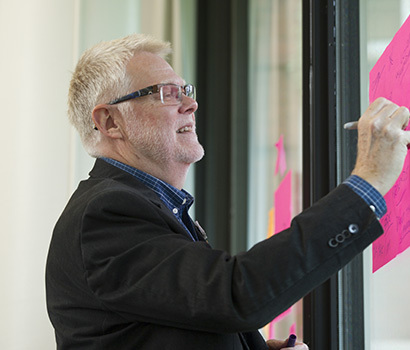 Rob continues his lecturing on inclusive design at colleges and universities, serves on various working and advisory groups, and is founding director of Inclusive Media and Design, a Toronto-based consultancy, media services and training group. Having worked in accessible media software development since the eighties, Charles Silverman knows what makes for a well-considered, intuitive interface. First with CAST in collaboration with the National Center for Accessible Media (NCAM) at WGBH/PBS in Boston, the Centre for Learning Technologies at Ryerson University, and then the Adaptive Technology Resource Centre at the University of Toronto, Charles innovated on solutions to help ensure everyone was included. One of these projects was CapScribe, used in-house at Inclusive Media and Design to meet the needs of clients such as the Canadian Museum for Human Rights, the CNIB, and government ministries and educational institutions across Canada. Description: What is currently happening with machine learning in regard to web accessibility? To try to answer this question, we conducted interviews with six leading web accessibility experts*. The experts pointed to some interesting problems, as well as several areas where we could leverage machine learning algorithms that are already in use, such as image recognition and content clarifier to improve existing accessibility tools. There are also opportunities to provide high-level warnings of accessibility issues, or to extract and reorganize content for better presentation for different types of users. We will share the findings of the research in this session. Laura Johnson is a senior software developer at Myplanet. In 2018, she published an article comparing leading accessibility testing tools and presented her findings at the Guelph Accessibility Conference and at DrupalCon Nashville. She has published an article on her current research on machine learning and web accessibility, and will be presenting her findings at the Front End Accessibility Summit at DrupalCon Seattle in April 2019. Everett Zufelt is Myplanet's director of technology. He leads the delivery of complex software and services to Fortune 500 customers. Everett's research is currently focused on how AI and emerging interfaces can be used to provide greater access for persons with disabilities. Everett was previously the lead of the Drupal Web Accessibility Initiative, an Invited Expert to the W3C HTML5 Working Group, and an HTML Accessibility Task Force participant. Description: Whether you deal with public-facing documents, or personal and confidential information, testing is an essential component in the conversion process. Just because the font is big doesn't mean the content is readable by someone with low vision. Just because the screen reader talks or there's braille on a page, it doesn't mean the end user is getting the information you're trying to convey. In this session, we'll discuss the need to test for content accuracy and compliance with industry standards for each format. We'll also look at testing tools and demonstrate why it's important to use assistive technology in document accessibility testing. Jen Goulden, EDP, has 15 years' experience in the field of document accessibility. She holds a master's degree in linguistics from the University of Ottawa, speaks English, French and Spanish, and is a certified braille transcriber. Before joining Crawford Technologies, Jen worked for the Federal Government as a human resources advisor in official languages and employee performance management. Since 2008, she has been a board member of Braille Literacy Canada and served as president from 2011 to 2018. She is treasurer of the International Council on English Braille and is Crawford Technologies' representative to the Braille Authority of North America. Aimée Ubbink, EDP, PMP, is a document accessibility specialist with Crawford Technologies, specializing in the design and dissemination of accessible transaction documents. Since 1999, Aimée has worked with software developers to design systems for automated production, adhering to evolving standards, emerging technologies and formats. Familiar with common barriers companies encounter when meeting this legal requirement, she assists organizations in the development of accessibility solutions. Aimée is a member of Braille Literacy Canada, chair of Braille Transaction Documents Committee, a member of the PDF Association, and sits on the Technical Working Group and Liaison Working Group for PDF/UA. Description: Incorporating accessible practices into all employees' daily work builds more inclusive organizations. This session will explore the communications strategies used at TD Bank to drive awareness and acceptance of accessibility across the enterprise, both through grassroots and official channels. You will learn how humanizing disability and accessibility barriers has helped TD employees gain a more empathetic understanding, and how this is pushing them to embrace more accessible practices. You will also learn practical tactics for spreading information, and about the roles individuals play in building a more inclusive and accessible workplace through internal social media, webinars, guides, tools and more. Erika Faust found her passion for accessibility while working in communications for community housing, where approximately 30% of residents have a disability; she found it important to design messages that everyone can read. Erika has worked in communications at TD Bank since 2016. She currently manages the communication strategy for the Assistive Technologies program and works with vendors to ensure they are providing accessible solutions for TD employees and customers. 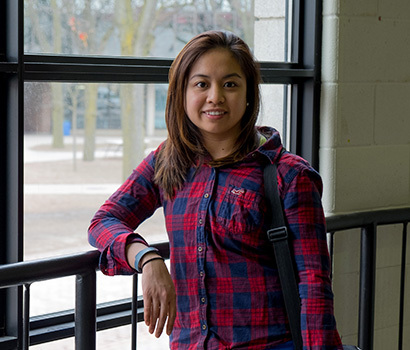 Erika graduated from the University of Guelph-Humber and is excited to see the Guelph campus in person for the first time. Description: Episodic disabilities—like MS, diabetes and depression—result in an unpredictable, fluctuating capacity to work. In this interactive presentation, we draw from our Invisibility 2 Inclusion project to examine the struggle for inclusion facing people with episodic disabilities in the physical, social and political world of the neoliberalized university in Canada. When time and resources are scarce and the pressure to perform is ever-increasing, how can people with episodic disabilities be supported and included? You will view videos created by post-secondary faculty members, staff, and students with episodic disabilities and will engage in reflection and discussion around this pressing issue. Carla Rice is a professor and Canada research chair at the University of Guelph. She specializes in disability and embodiment studies, and in arts-based and research creation methodologies. She is currently principal investigator of Bodies in Translation: Activist Art, Technology and Access to Life, a multi-year, multi-site disability arts grant. Elisabeth Harrison is a PhD candidate in critical disability studies at York University, where she received a SSHRC CGS Doctoral Scholarship. Her dissertation research uses narrative and digital storytelling methods to illuminate trans, genderqueer, gender nonconforming and nonbinary people's experiences with mental health care in Ontario. She is a co-investigator on the Invisibility 2 Inclusion project, which aims to improve opportunities for people with episodic disabilities in Ontario. She has taught courses in women and gender studies, psychology and education. Her research interests are in Mad studies, fat studies, and intersectionality theory. Description: Making Instructional Documents Accessible to Students (MIDAS) is a Cal Poly project, started in spring 2017, to pilot a new faculty service designed to make significant progress in bringing online instructional materials up to accessibility standards. The project is a collaboration between the Disability Resource Center, the Center for Teaching, Learning & Technology, and library. MIDAS employs a team of student techs trained in remediating documents (e.g., PDF) for accessibility. Priority is given to faculty who use Open Educational Resources (OER), teach courses with higher annual enrollment, and extensively use digital documents that are posted online repeatedly. In this session, you will learn about a pilot project in document accessibility remediation for faculty at the university level. Prior to working at the Disability Resource Center (DRC), John Lee worked at the Central Coast Assistive Technology Center for 16 years. He has a great deal of experience in evaluating and training people in the use of assistive technology. John received a BA in history and a MS in occupational therapy, both from the University of North Carolina at Chapel Hill. Luanne Fose's position is primarily focused on teaching face-to-face (f2f) and online technology workshops to faculty, collaborating with faculty to develop f2f/online/hybrid/flipped courseware, providing one-on-one faculty consultations covering a variety of software applications, coordinating Cal Poly's Affordable Learning Solutions initiative, and creating videos, screencasts, podcasts, and musical jingles for campus multimedia projects. Luanne is the primary trainer for all faculty/staff Mac classes at Cal Poly and also offers expertise in educational uses of the iPad/iPhone/iPod through her campus website, iPad Support iOS 8. Luanne is especially interested in the study of multiple learning styles and their effect upon teaching and learning. Description: In late 2017, Ryerson University redesigned its online presence by introducing a new website template, bringing the website up to date with current industry best practices. With more than 1000 website editors and 40,000 web pages, ensuring brand consistency, usability and website accessibility posed its challenges. Adam Chaboryk is an IT accessibility specialist at Ryerson University. In this role, Adam enables the Ryerson community with the resources and guidance to create a more inclusive digital environment for all learners, faculty, staff and the general public. Description: Accessible educational content or converting existing content into an accessible digital format requires many different skills. One can argue that since the content probably began in some form of electronic format, it should be easy to take that and bind it into a digital ebook and, voila, you are done. How is context taken into consideration when using AI? Creating understandable and usable descriptions or alt text is key to learning for many people with disabilities. Learn how large publishing companies achieve this and how you can make a difference when alt text is done at the beginning of the process. Take aways include knowing how to do it right, learn how to categorize and assess for resource requirements, and practical hands-on interactive exercises. Pina D'Intino is an accessibility strategist and implemention specialist, public speaker, and a person with a disability. She works for Cognizant as their global accessibility lead. In this role, Pina manages accessible publishing projects and works with a number of local businesses to increase their accessibility compliance. She is an advisor on several AODA and Service Canada committees and initiatives, and loves engaging people in interesting, action-driven discussions. Participation: Although not required, those who want to engage with online links, content and resources, should have access to a computer and/or smartphone with internet access. Description: Accessibility resources and tools are often open source, free or low cost, but where do you find them? You will discover just how accessible accessibility is and learn ways to become more engaged in accessibility. This presentation includes a compilation of accessibility resources, ideas and links that were researched and collected over the past 18 months. Topics will include but are not limited to: conferences, meetups, programs, training, courses and certifications related to accessibility, dates of interest related to accessibility, and disability and online resources like A11y Style Guide, WEBAim, etc. Lisa Syms is an accessibility and communications specialist. She helps organizations meet or go beyond accessibility standards, remove accessibility barriers, and create inclusive cultures. Lisa is a graduate of Mohawk College's Accessible Media Production program. She continues to build on her accessibility knowledge and skills and is particularly passionate about clear communications and accessible content creation. Lisa currently works as an inclusive design consultant at CIBC Digital. In this role, she provides subject-matter expertise to project and marketing teams on inclusive and accessible content planning, creation and maintenance. Description: With the revolution of innovative types of smart home technology, individuals with disabilities can optimize independence and live/age in place. Universal Design can enhance independence for people with disabilities and the broader community. We aim to provide a framework, based in evidence and lived experience, to support the need for all technologies to be inclusively designed. We will present the results of a literature review as well as lived and professional experience, and talk about new ways of optimizing mainstream technology. We will show the impact Universal Design can have for people with disabilities. Better understand the tenets of Universal Design and smart home technology. Further education is suggested for both practitioners and clients to effectively maintain independence in the home. Chelsea Mohler holds a master's degree from the University of Western Ontario in occupational science. She presently works in the dual roles of assistive technology educator and community engagement specialist at BALANCE for Blind Adults. Chelsea is passionate about assisting clients to gain independence using assistive and mainstream technology and using technology to connect clients to both their digital and actual communities. She has co-authored 'Creating a Culture of Accessibility in the Sciences' and has worked for several years mentoring post-secondary students with disabilities, helping them to find and implement new learning strategies. Chelsea sits as an active member on the Ontario government education standards committee where she provides consultation and helps develop strategies to inform a more inclusive education landscape. Sandy Feldman is a web designer and front-end developer who builds accessible custom WordPress themes. With experience in digital design and website creation, Sandy specializes in designing visually innovative sites, individually tailored to the client's needs and mission. She is a veteran of Inclusive Media and Design's Web Accessibility team. She teaches developers how to build accessible sites and helps with accessibility audits. A strong supporter of many disability-related communities, her volunteer websites include Blind Sailing Canada, TRAILBLAZERS Tandem Cycling Club, and Toronto Ice Owls. Description: This presentation will tell the story of the Digital Accessibility Resource Centre (DARC) pilot project and how its development and delivery strategy was formed. You will learn about the approach we put into action to help foster a culture of inclusion as opposed to applying AODA legislation as our primary guiding principal. This strategy included bringing students on board and building internal partnerships with individual departments while addressing their unique digital accessibility support needs. Hear about what we've learned in our first year, and learn about the rewards and challenges of launching a campus-wide digital accessibility initiative that had to function with fiscally-limited resources while striving to meet AODA compliance obligations. 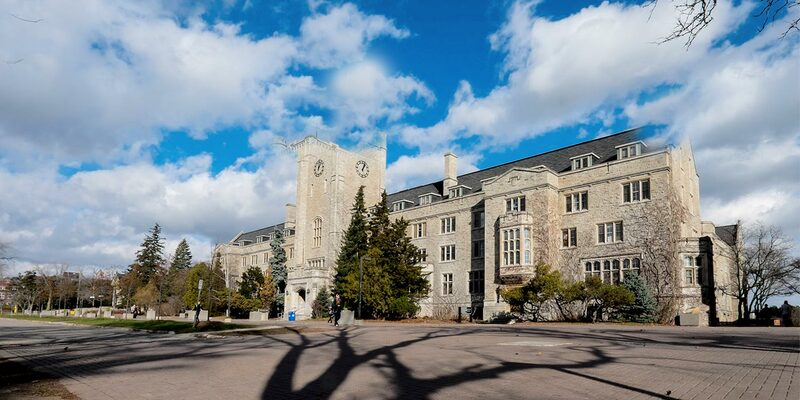 Marinette Fargo has been working in the field of accessibility and accommodation at the University of Guelph since 2008. Currently, she runs the Digital Accessibility Resource Centre (DARC). The DARC team monitors the state of web and digital content accessibility campus wide and coordinates accessibility training, testing and consulting. Craig Hyatt leads the newly formed Digital Accessibility Resource Centre team in Computing & Communications Services, the central IT organization at the University of Guelph. Description: We want to show you how we created an accessible kids news platform at the CBC. We will talk about the journey that started with wireframes, turned into designs and then into a live product. This was all done with accessibility in mind from the start, with many improvements along the way. As the project developed, we incorporated accessibility-specific testing to improve the audience experience continually. You will take away from this presentation a better idea of how new sites can incorporate accessibility into their production processes. Robert Carr is a web accessibility analyst at the CBC in Toronto. Previous to this role, he worked closely with one of the major Canadian banks in a similar position. Before getting into accessibility, Rob worked as a web developer and support manager. 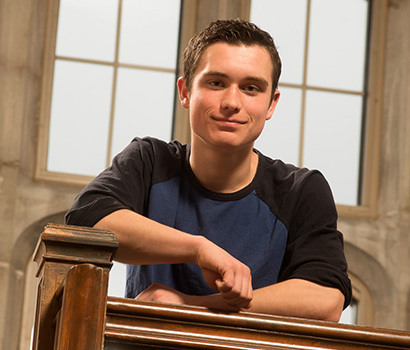 He is also a graduate from University of Guelph where he studied Biology. Scott Andrechek is a web developer at CBC on the Kids Products team. He previously worked at a small non-profit that focused on making transportation accessible for the disabled and elderly. He now works on making accessible platforms for content creators that reach both Canadian and international audiences. Description: Today, 1/7 Canadian adults identify as having a mobility, vision or hearing disability. This number is expected to increase to 1/5 by 2036. Of the with disabilities who do not work, 57% believe they could if barriers were removed. This would allow more than half a million people to find meaningful employment and contribute millions of dollars to our GDP. The Rick Hansen Foundation Accessibility Certification program (RHFAC) was designed to create meaningful access in the built environment. Sarah McCarthy is the vice president of Strategic Initiatives at the Rick Hansen Foundation, where she is responsible for leading the Rick Hansen Foundation Accessibility Certification (RHFAC) program. She brings national and international experience to this role, having previously worked for an association management consulting firm where she served as executive director of several non-profit professional health care organizations. Sarah holds an M.Sc. in pharmacology and therapeutics, and an MBA in strategic management from the University of British Columbia. Networking Social - 4:15 p.m.
Join us for the Networking Social at the The Bullring—an opportunity to catch up with colleagues and collaborators with a complementary drink and snack. Guelph Accessibility Camp - 5:30 p.m.
Hey, all you techsperts, policy mavens and accessibility novices, Guelph Accessibility Camp is back! Join us at Guelph A11ycamp 2019. Choose discussion topics and brainstorm answers to accessibility-related challenges in this participant-driven unconference-style event. Bring your ideas, your imagination and your laptops; leave your preconceptions at home. There's no charge and or pre-registration required. Everyone is welcome. Refreshments may be purchased at The Bullring. Buy a ticket for a Mexican dinner in advance. Build your own fajitas in a tortilla wrap with seasoned chicken or our house-made bean mix (or both!). The meal includes fajitas, salad, dessert and non-alcoholic beverage – $25 (taxes included). Description: Is it possible that cognitive impairments such as dyslexia can predispose individuals to advantages potentially useful in science? Noted educator, researcher, and astrophysicist, Matthew H. Schneps has been variously pursuing the answer to this question over the course of a distinguished 40-year career. In this talk, Dr. Schneps will review the struggles and successes brought on by his own dyslexia as he shares some of the insights he's gained through his work. Dr. Matthew H. Schneps is a founding member of the Science Education Department at the Harvard-Smithsonian Center for Astrophysics (CfA). Schneps received his PhD in physics from MIT in 1979. He then joined the CfA, first as an astrophysicist, but later to investigate questions of science learning, a major preoccupation since 1983. In 1990, Schneps founded the Science Media Group (SMG) at the CfA. The SMG was responsible for producing hundreds of hours of science education programming seen throughout the world. Among his best-known works are 'A Private Universe,' an award-winning television program on student misconceptions in science (famous for its scenes of Harvard students struggling to explain the seasons), and 'Minds of Our Own,' a PBS series on children’s ideas in science. An online series made for the Annenberg Foundation, the Habitable Planet, was recognized for its excellence by the American Association for the Advancement of Science. Beginning in 2004, Schneps established the Laboratory for Visual Learning (LVL) at CfA. The purpose of this laboratory is to use eye-tracking and other methods of cognitive psychology to investigate how individual differences in neurology (including those associated with dyslexia, ADHD, and autism spectrum disorders) affects how people learn science. An outgrowth of this work was the development of an innovative technique for reading for people with dyslexia using mobile devices, research carried out through funding from the National Science Foundation in the US, and other sources. This work lead to Schneps being awarded the George E. Burch Fellowship in Theoretic Medicine and Affiliated Sciences in 2010-2012. Schneps retired from CfA in 2014. Since his retirement, he has continued his investigations as a research professor at UMass Boston. He also held visiting positions for two years at the Harvard Graduate School of Education, and the Scheller Teacher Education Program at MIT. His current project is a memoir, 'A Letter to An Illiterate Child,' describing his insights from his life and work in science. Power Up Your PowerPoint: Make It Accessible! Description: Drawing on a Mad Studies perspective, this session will focus on describing current challenges that impact learning for students with mental health issues and engage you to participate in a collective brainstorm on strategies for creating inclusive classrooms. I will share my experiences with creating classrooms that are supportive of diverse learning needs and offer insight into how to address barriers facing students with mental health issues (MHI). You will learn about the foundations that underlie a mad-positive pedagogy (i.e., intersectionality, critical scholarship and activism, understanding of power and oppression) and how such an approach can enhance the learning environment for all students. Lauren Munro is a community-based researcher, pursuing her PhD in community psychology at Wilfrid Laurier University. Her approach to research and pedagogy is grounded in her lived experience of madness and, as such, she favours projects that prioritize marginalized voices and emphasize accessibility. Lauren strongly believes in the importance of integrating academia and grassroots activism to create projects that push boundaries and challenge the status quo. Description: As a blind former university student and job-seeker and as a current employee, I know first-hand that employers often have misgivings and misconceptions about what hiring a blind worker entails. University personnel sometimes have similar apprehensions about working with blind students and staff. This presentation will draw from first-hand experience and will outline things employers should know about how easily they can interview and accommodate blind workers. In particular, I will touch on how basic disability awareness and assistive technology can enhance the experience of working together for blind workers as well as sighted employers and colleagues. Lisa Kovac holds two BAs from Brescia University College, as well as a diploma in writing and a master's in english from Western University. She currently works as a curriculum developer at OSG & AODA.ca, where she advises on accessibility and writes for the aoda.ca blog. Lisa is also a senior tutor at The Write Place, the writing centre of King's University College, where she holds one-on-one tutoring sessions and hosts creative writing workshops. In her dwindling spare time, she enjoys reading, writing, choral singing, and downhill skiing. Participation: This is an intermediate/advanced session so a working knowledge of PDF remediation is preferable. No other equipment is required as this is a lecture/demonstration. Description: Those of us who remediate PDF documents to be accessible can easily find information on the basics of making PDF documents accessible. This session will walk you through some of the problems encountered in remediation and offer techniques for working around them. What do you do when text that is in columns is all merged together? How do you embed fonts in a PDF document? When do you use the Content Panel? What if the Reading Order Tool won't let you tag content? Find out at this session! Karen has been working in the field of accessible document design since 1998. She has been a Microsoft MVP for Word (now Office Apps and Services) since 2009 and a Microsoft Accessibility MVP since 2014 when the category was established. Description: UX research and design are important first steps in building products and services that delight users and meet their needs. Often, the research process adopts the 80-20 principle, covering only the "easy" average user base and ignoring "difficult" outlier user groups such as users with disabilities. In designing inclusively for this complex, adaptive world that we live in, UX studies must include users with disabilities; however, the process might intimidate those who have not shared space and time with people with disabilities. In this talk, we will describe a protocol for conducting UX studies with people with vision loss. This talk aims to motivate UX researchers to include users with disabilities in their studies. An introductory framing of research conducted excluding/including users with disabilities explains the overarching benefits of inclusion in the research process. Presentation of a detailed protocol for conducting UX study sessions with users with vision loss provides practical tips for conducting such sessions. Geordie Graham is passionate about inclusive design and its application in user research. He did his masters in inclusive design at OCAD University focusing on Accessible User Experience Research with screen reader users. Geordie is currently working as a user researcher with ecobee, Toronto. Description: The purpose of this presentation is to demonstrate how assistive technology and accessibility enable those with disabilities to be successfully employed in the 21st century. Hear about one man’s journey from being born blind with no technology to finding and maintaining successful employment using assistive technology. Hear how accessibility has enhanced the employment potential for individuals with disabilities. You will gain a better understanding of the integration of assistive technology and accessibility into the workplace. In addition, you will have an opportunity to see demonstrations of a screen reader, refreshable Braille, and Aira. Questions will be welcome. Keith Bundy was born totally blind. He received primarily a mainstream education and earned a bachelor’s degree in psychology, a bachelor’s degree in philosophy and religion, and a master’s degree in college student personnel work. He has worked for over 35 years in a variety of professional positions and is currently a digital accessibility consultant and trainer with Siteimprove. He enjoys public speaking, serving as a public address announcer for sports events in his community, and spending time with his wife, Peggy, and their four grown sons (and three grandchildren). Description: Our objective is to present a case study on how we are using inclusive design, strategic communications and training strategies to deliver accessible teaching and learning at the Toronto District School Board, an organization with 40,000 employees. The presentation will be followed by a Q&A session. You will come away with information on how to research and design a strategy, and tactics that centralize accessibility learning as well as raise awareness about an accessible teaching and learning program in any organizational or community setting. Dina Anker has been an accessibility advocate for nearly 20 years. She is currently the accessibility coordinator with the Toronto District School Board (TDSB). This position was created to coordinate the efforts and continue successes within the TDSB this past year. She has over 15 years of knowledge in providing learning, technical and pedagogical support, instructional design, and workshop facilitation for accessibility-related training. Dina has a demonstrated commitment to the principles of inclusion, diversity, equity and accessibility. Her current focus is on inclusive design practices geared towards creating accessible documentation and learning resources ensuring compliance with the Accessibility for Ontarians with Disabilities Act (AODA). Vanessa Pfaff uses strategic communications and inclusive design principles to build diverse, equitable, accessible and inclusive communities. She began her career promoting IMAX films and then transitioned to amplifying human rights initiatives. Her childhood in apartheid South Africa fueled this passion. For over 20 years, Vanessa has developed collaborative programs with the Nelson Mandela Children's Fund, Easter Seals, Cineplex, OCAD University, all levels of Government, and the Disability community. Vanessa is currently developing a communications plan for the Toronto District School Board's accessibility policies and inclusion strategies for Canadian Stage and Sidewalk Toronto. Description: In the workplace there are advantages and disadvantages to disclosing a disability. Learn how to work with colleagues and clients who have a disability. A third of people surveyed said they avoid people with disabilities for fear of saying the wrong thing; as a result, many people hide their disabilities to avoid awkwardness. End the awkwardness by exploring common issues surrounding disability, including disability types, people-first language, permanent/temporary/situational disabilities, invisible disabilities, Social Model vs. Medical Model, curb-cut effect, Spoon Theory of chronic illness, whether to disclose a disability, etc. People with disabilities are us; we will all experience some form of disability in our lives. Participation: You are welcome to bring your laptop computers loaded with PowerPoint. Description: This presentation will review WCAG accessibility guidelines, requirements, and issues for digital content and instructional documents. You will learn the fundamentals of creating accessible materials and modifying inaccessible content to comply with accessibility standards. We will cover how these guidelines can be applied to PowerPoint documents. As well, we will look at its built-in tools—such as the Accessibility Checker, slide layouts and master slides, and reading order. You will walk away with strategies and a toolbox full of apps and resources to help with making your documents accessible. Gina collaborates with a multi-disciplinary team to create beautiful, engaging, and accessible online courses at Humber College. She implements creative and accessible solutions to the creation of graphics, multimedia content, experiential and interactive content, and videos. She is keenly passionate about providing inclusive solutions in online learning by applying Universal Design and Accessibility principles. She currently facilitates a number of workshops at Humber College—including Creating Accessible Learning Materials (as part of the Inclusive Curricular Design Certificate), Creating Accessible PowerPoint Documents, and Creating Accessible Word documents. Participation: Bring any web-enabled device—phone, tablet, laptop—if you want to try the techniques, but listening and supporting your neighbour will also work. Description: This will be a short, live, play-along informal web accessibility audit to demonstrate practical ways to find accessibility issues on websites using free tools. We will walk through examples using accessibility bookmarklets, colour contrast checkers, free screen-readers and magnifiers, using a mix of live public sites and demo pages. You will be invited to try out the techniques yourself on your personal device as they are demonstrated. The goal is for you to come away with some simple, practical skills to identify accessibility issues with your own websites during development without getting lost in WCAG terminology and paragraph numbers. The techniques are not exhaustive and won’t make you a professional auditor, but you will leave with the confidence to find problems with your own designs. Bob Dodd is the web developer for CNIB's Accessible Publishing unit in Toronto where his role covers design and implementation of the CELA library website, and provides web accessibility consulting across other business units. Bob joined CNIB in 2013 after ten years of academic research into adaptive user interfaces, that itself followed a career in UI design. He has published papers on techniques for adaptive user interfaces ('The CISNA model of accessible adaptive hypermedia') and a model for profiling human capability ('User capability in an adaptive world'). Description: As technology evolves and more people create apps to put on a smartphone to help with interpreting the visual world, the landscape of possibilities can quickly become very confusing. Carin Headrick has been with D2L for seven years, specializing in accessibility testing and consulting with design and development teams. Prior to that, she was involved in various accessibility initiatives with the City of Guelph, as well as volunteering at a literacy center. Carin believes everyone can succeed if they have the right tools. Description: The Center on Inclusive Software for Learning (CISL) is a joint five-year project between CAST, SRI Education, and the Inclusive Design Research Centre. CISL is focused on building a suite of software tools for creating, using and discovering adaptive and accessible open educational resources, especially in K-12 education. Come hear about what we've learned so far, where our open-source software development is going, and the challenges and possibilities of inclusive design for open education. Alan Harnum is a software developer and design researcher whose interests include improving the accessibility and inclusiveness of open education, techniques and technologies for building multimodal and adaptable web content, and the practice of inclusive design for software development. Alan has worked at the Inclusive Design Research Centre since 2015 on a variety of projects related to educational technology, the inclusiveness of youth movements, and one-size-fits-one customization of software interfaces. Description: The Accessibility for Ontarians with Disabilities Act (AODA) and its subsequent standards identify the goal of an inclusive Ontario by 2025. The United Nations Sustainable Development Goals (SDG's) identify the goal of inclusive education by 2030. Yet, as we examine the research and annual reports of benchmarks toward inclusive communities, one thing is clear: each person and organization defines inclusion differently. Can we shift from being "accommodated for" to being included in activities of daily life? This session will explore opportunities to redefine inclusion and for leadership roles organizations can provide to reach tangible goals. Karen McCall, M.Ed. has been an active advocate for digital document accessibility for the past 20 years. She has written several books on creating and working with accessible documents including accessible PDF documents. She wrote the first book on accessible PDF in 2005, now in its fourth edition. In the past six years, Karen has turned her attention to the implementation of the UN Convention on the Rights of People with Disabilities and the role the treaty plays in establishing a Global Inclusive Education Standard. She has presented on this topic in webinars and at international conferences. Description: Myplanet is a software development studio based in Toronto that builds digital products for large enterprises. Myplanet has been focusing on building voice-first interfaces using Alexa and Google Assistant while partnering with Amazon and Google. One of Myplanet's clients has a Drupal-based website that is used by its employees, many of whom are visually impaired. One part of some employees' jobs is to update the organization's calendar, which has details about all the events that the organization hosts across Canada. These events are then published on their website and can be accessed by members using desktop, web, or mobile devices. Myplanet partnered with the client to run a series of experiments in order to develop a two-way solution that both enhances the experience of employees trying to create events in Drupal and improves a member's experience when using mobile to access information related to client organization's events. This session is extremely valuable for Enterprise IT departments as it'll allow them to think of similar cases in their environment and build accessible solutions. Greg Fields is the chief product officer at Myplanet, leading company activities and partnerships in new technologies like conversational interfaces, augmented reality, and AI for good. Prior to Myplanet, Greg led product management portfolios at BlackBerry for 10 years, including leading its accessibility design and development efforts. This included the innovative work on the BlackBerry accessibility API framework, text-to-speech and speech recognition technologies, assistive technologies (screen reader, screen magnifier, close captioning, hearing aid compatibility, bluetooth switch access, grayscale mode, etc. ), and ensuring the accessibility of all BlackBerry mobile applications. He has also worked closely with advocacy organizations and regulatory bodies around the world, including sitting on the TEITAC Section 508 Refresh Committee, 21st Century Communications and Video Accessibility (CVAA) Committee, Emergency Accessibility Advisor Committee, Video Programming Accessibility Advisory Committee, AODA Review Council, ITU Human Factors Group, Rehabilitation Engineering & Research Centre on Aging, AEGIS Consortium, and more. Greg remains committed to making technology universally useful and helpful for all. Laura Johnson is a senior software developer at Myplanet. In 2018 she published an article comparing leading accessibility testing tools and presented her findings at the Guelph Accessibility Conference and at DrupalCon Nashville. She will be presenting current research on machine learning and web accessibility at the Front End Accessibility Summit at DrupalCon Seattle in April 2019. Participation: All participation resources will be provided, including handouts (smaller and larger print), note paper and writing tools; presentation materials will be made available online. Description: While accommodation and accessibility are often defined solely in terms of disability, individual disability experiences and needs are often complicated by other identities and circumstances, and a narrower focus on disability can exclude or discount many students who seek accommodations. 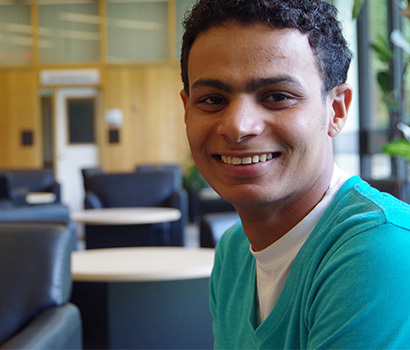 Multilingual or international disabled students, and disabled students experiencing poverty, for example, are often less able to access documentation required for formal registration with accessibility services, and face unique educational experiences and needs. Drawing on these and other examples from the Ontario educational and legal context, this presentation will offer suggestions for broadening our language and practices around accessibility and accommodation. C (they/them pronouns) is a disabled PhD candidate and Vanier scholar at the University of Toronto, living and researching on traditional land of the Huron-Wendat, the Seneca, and the Mississaugas of the Credit River. Their research explores power dynamics in communication, with an emphasis on structures of silencing and exclusion experienced by trans and disabled people in health settings. Description: In 2013, the Manitoba Government enacted the Accessibility for Manitoban's Act. The University of Manitoba has taken this legislation to heart and is a leader in the province for its accessibility plan. As accessibility legislation continues to improve and change, so do people’s willingness to make the work they do be more accessible. By creating a document accessibility grading rubric and working with the academics on campus, Jeff Buhse, assistive technologist, has found some very useful tools, tips, and tricks in supporting efforts to create accessible documents. Jeff Buhse has been the assistive technologist at the University of Manitoba (U of M) since 2010 and is a leading expert in document accessibility in Manitoba. He was an integral member of the sub-committee who wrote the Information and Communications Standard of the Accessibility for Manitoban's Act and consults on many committees at the U of M to ensure an accessible digital realm. Jeff has a Shih-Tzu names Pancakes and would be happy to share photos. Description: Citizens With Disabilities - Ontario (CWDO) is committed to the rights of all persons to participate fully in the civil, cultural, economic, political and social life of their communities. CWDO actively promotes the rights, freedoms and responsibilities of persons with disabilities through community development, social action, and member support and referral. Our primary activity is public education and awareness about the social and physical barriers that prevent the full inclusion of persons with disabilities in Ontario. CWDO has 1800 members in all areas of the province and this workshop will detail our work in making Ontario more accessible. We will discuss our work and share valuable resources we have developed. Linda Hunt is an accessibility consultant and advocate for all things related to accessibility. She is the treasurer of Citizens With Disabilities - Ontario, and chair of the Ontario Trillium Foundation Grant Review Team. She sits as a member of the Brant Community Healthcare System, Community Engagement Committee and the Grand River Healthy Communities Collaborative. Linda is past chair of Operation Lift, an organization committed to the accessible transportation needs of persons with disabilities. Additionally, she is past chair of the Brantford Accessibility Advisory Committee. She has held several leadership volunteer positions for local, regional and provincial organizations over the past 30 years. Linda was the recipient of the 2018 City of Brantford Accessibility Award recognizing her efforts to improve accessibility in her community. Linda first became a person with a physical disability in 2004. Since then she has been an active and engaging speaker to groups on a variety of accessibility topics. She has a passion for community projects that enhance accessibility and allow persons with disabilities to be active and engaged members of their community. Description: Since 2012, closed captions on Canadian live television broadcasts have been required to meet a minimum of 95% accuracy, based on a word-for-word comparison. This method of accuracy evaluation does not necessarily reflect the experience of the viewer. In a live broadcast scenario, where some inaccuracy is inevitable, not every word is of equal importance. The NER (total Number of words minus Edition and Recognition errors) method measures closed captions in "idea units", and determines accuracy by comparing the meaning present in the content and the closed captions. The existing standard in much of Europe and Australia, the NER method is currently being considered as the new standard of accuracy evaluation in Canada. This presentation will offer a thorough explanation of the NER system itself, as well as the two-year study which focused on determining its effectiveness for use in Canada. Jeremy Keeble's introduction to accessibility was through a two-year study on the effectiveness of the NER method of closed captioning evaluation. He later experienced the other half of the equation, by training as a real-time captioner. Jeremy currently resides in the Toronto office of Ai-Media, overseeing the delivery of accessibility services, including closed captions and various forms of remote CART. Description: Ontario's Inclusive Design Toolkit was created to help people learn about inclusive design and apply it during the creation of digital services and the offline equivalents of those services. Anyone interested in creating more inclusive services can use the toolkit—product owners, designers, developers, writers, policy-makers, customer service providers, etc. Using the toolkit will help you to better design for the full range of human diversity in ability, language, income, culture, gender, age and other characteristics. Note: This is an extended session scheduled from 2:30 to 4 p.m.
Kate Kalcevich has championed accessibility since the launch of the Ontarians with Disabilities Act (AODA) in 2001. Her major achievements include the Inclusive Design Toolkit, inclusive design training for the Ontario Digital Service, the first public design standards for Ontario.ca with an emphasis on accessible web components, and a role-based digital accessibility training curriculum for all Ontario Government employees. Kate sums herself up as a hearing-impaired inclusive designer, public servant, biohacker, decorator, keto/primal eating crossfitter, raw feeder and cat whisperer. Bethany Curley is a Toronto-based digital communications professional, interested in accessibility, inclusion, and digital democracy. She is an expert in digital accessibility, WCAG 2.0 and AODA, Certified Professional in Accessibility Core Competencies (CPACC), and is currently pursuing education and experience in project management. Bethany is enthusiastic about the arts, and active in the classical music community. Description: Any effort to address accessibility issues with content in the learning management system (LMS) starts with a scale challenge: How do you both identify and remediate accessibility issues among the hundreds of thousands of content times that reside in a campus LMS? For instructional technologists and disability resource teams, navigating scale means leveraging data and feedback at both the macro-level of the content inventory and the micro-level of the individual instructor and student to inform a campus accessibility strategy. You will be invited to look across these scales of accessibility, beginning with the half a billion content items Ally has checked in the LMS for accessibility, and then zooming in to the day-to-day training and engagement of faculty and students around inclusive learning. We'll share our most recent research into accessibility issues across hundreds of thousands of higher education courses, as well as strategies and progress institutions have made on the pathway to inclusion. John M. Scott, PhD, is a product and community manager for Blackboard Ally, and has led Ally's 2018 data study and research. 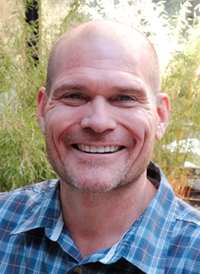 Prior to joining the Ally team, John earned his PhD from UC Berkeley in learning sciences and new media, where his research focused on tools and pedagogy for collaborative online learning environments. His research on digital literacies and online learning has been published in research journals and edited volumes, as well as presented at major educational research conferences internationally. He has taught at the graduate, undergraduate, and secondary levels and holds a master's degree in special education. He is currently on an "Inclusive Learning Tour," visiting with campuses around the globe to learn about how institutions are tackling their most challenging accessibility issues and fostering more equitable, inclusive learning experiences for their students. Description: Session information will be posted soon. LSG = Learn Share Grow!